This course emphasizes shooting skills that have been around many years. Areas of instruction include Marksmanship Fundamentals, Presentation of the Defensive Handgun, Reloading Techniques and Malfunction Drills for the Semi-Automatic Pistol and/or Revolver. A handgun qualification is included. Parameters discussed previously in HANDGUN I will be the basis for further development in HANDGUN II such as the tactical necessity to “assess” the capability of an opponent. Another drill will introduce a technique, which can further increase speed in situations, which allows effective employment of the technique. A “close combat” drill integrates well with previously learned techniques. This course is for law enforcement sharpshooters. Emphasis is placed on familiarization and maintenance of the precision long gun, NRA Shooting, Marksmanship, Unknown Distance Shooting, Range Estimation, mil-dot usage, Ballistics, Stress Shooting, Data Book Maintenance, Shooter and Observer Roles while utilizing ranges up to 600 yards. This course emphasizes areas of instruction to include Missouri Statutes, Handgun Safety, Care ,Cleaning , Safe Storage of Firearms, Marksmanship Fundamentals, Reloading Techniques and Malfunction Drills for the Semi-Automatic Pistol and/or Revolver ,and handgun qualification . This course combines the Magazine Fed Carbine and the HANDGUN I or II classes into a two-gun course. Emphasis is placed on the use of the Carbine as a primary system with the handgun as a secondary system. Training includes Low Light Drills, Simulator and Barricade Drills. Ranges of up to 300 yards. Further emphasis is placed on Muscle Motor Memory and Economy of Motion. This is a Long Gun Course primarily for serious hunters. Emphasis is placed on practical rifle marksmanship applicable to the hunting environment. Limited to center fire rifles in hunting calibers. Ranges up to 600 yards, ammunition and ballistics, camouflage and concealment, firing positions, utilizing slings, bi-pods and shooting sticks will be covered both in class and on the range. Your mind is the best weapon you have. We will train your mind which in turn will train your body with quick reflexes and tactical responses for surviving a defensive confrontation. “Don’t die stupid!” You will fight as you have been trained! You will rely on what you know or don’t know. Training enforces confidence, confidence turns into instinct, instinct is a tactical response. That is the gun training it takes to win! At RANGE-T.E.C we believe in a relaxed atmosphere in which to train. We believe that while you are enjoying your rifle training endeavors, you will be comprehending and absorbing much more of your training. If you are not enjoying yourself then your actual participation will be much lower both physically and mentally. This in turn affects the participation of classmates and teammates. We will take the time to help you with any problems when and if one exists. We will help you with anything you don’t understand either during class, while on breaks, or after class. At RANGE-T.E.C you will not find the attitude “How Great We Art”. We do not know everything. We do, however, have a great amount of enthusiasm about each aspect of gun training offered. There are lessons to be learned from everyone. There are many different schools and many different ways to do things. Attend as many schools and courses as you can. Get as much gun training as you can. Select the methods that best suit your needs and wants. At RANGE-T.E.C. our ways have been proven over the test of time and blood. From Special Operations veterans, from police, from sheriffs departments, and from SWAT teams, we have been trained by some of the best and have trained some of the best. 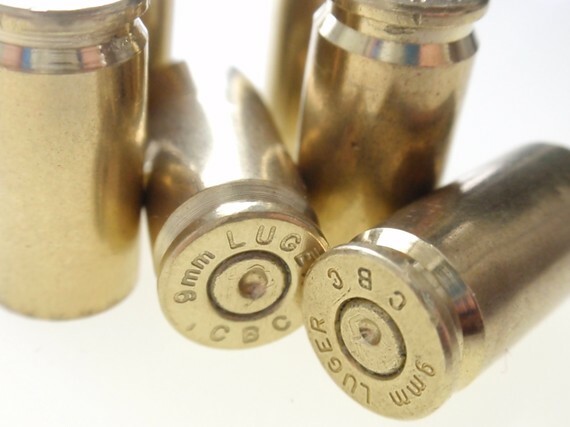 We feel that we have some of the most realistic pistol and rifle training there is to offer. In defense, survival, gun handling, marksmanship, and tactics, RANGE-T.E.C., ” The Quiet Professionals!”. Come and see us! “Train under the most extreme conditions and it will better prepare you for most any situation“.